Gerry Schum (1938-1973) was a German filmmaker, video producer and foremost communicator of early video art. Following his interest for fusing Fine art with Television, between 1968 and 1970 he was the initiator and producer of Fernsehgalerie, a Television gallery in Berlin that had been aired by West German television in the following years. Schum’s intention was to establish art itself on television, instead of merely documenting or commenting it, and he achieved this through regular broadcasts of original art films on public television, reaching a broad audience. The VENICE INTERNATIONAL PERFORMANCE ART WEEK 2014 shows the television art film Identification by Gerry Schum. Aired on November 30, 1970, the film includes actions and videos of around 20 artists, among which Giovanni Anselmo, Joseph Beuys, Alighiero Boetti, Stanley Brouwn, Daniel Buren, Pier Paolo Calzolari, Gino De Dominicis, Hamish Fulton, Gilbert & George, Garry Kuehn, Mario Merz, Klaus Rinke, Reiner Ruthenbeck, Ulrich Rückriem, Richard Serra, Keith Sonnier, Ger van Elk, Franz Erhard Walther, Lawrence Weiner, Gilberto Zorio. 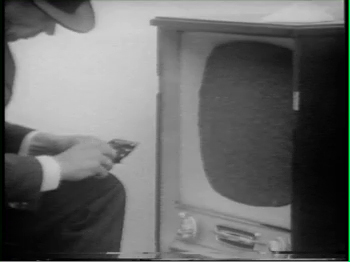 The video of Beuys' Filz-TV, in which Beuys acted the version for camera of the live action Filz-TV shown in 1966 in Copenhagen, is memorable: it is the only action of Beuys that took place explicitly for being recorded on camera. Courtesy of La Biennale di Venezia - ASAC.